The Shema Yisrael Torah Network and Yeshiva Pirchei Shoshanim, has developed a unique program which will teach you the in's and out's of the Hebrew Language, while simultaneously giving you a historical tour of the Holy Land of Israel. For the first time ever the secret of how the Hebrew Language was constructed is being revealed to us. The depth of the oldest language in the world has now been made understandable from the view point of one who once couldn't read, write or speak Hebrew. The ZIP file you download upon purchase contains 16 lectures, 16 mini tours of the country of Israel and will include the "Dik Duk Buk". 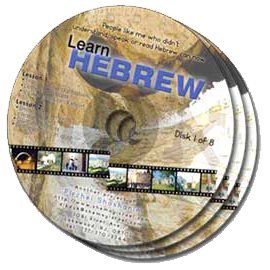 This revolutionary book is the most authoritative Hebrew book available today for the presentation of the Hebrew language in a format which closely resembles the way one learns English grammar.